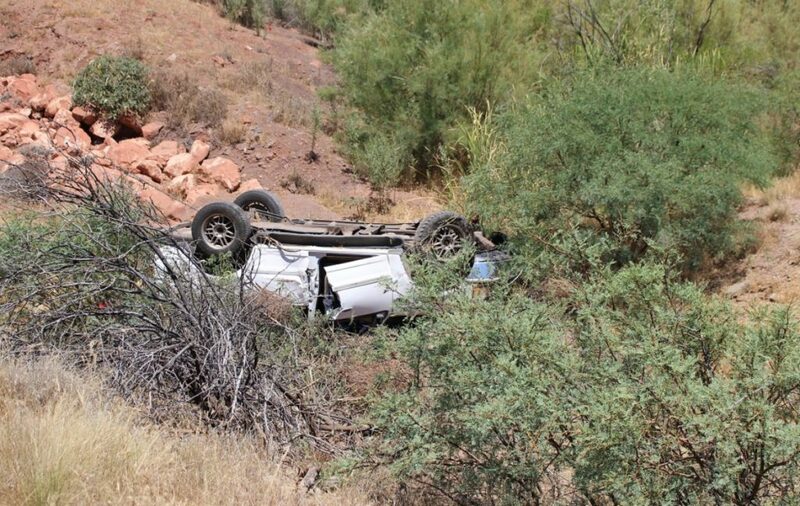 IVINS — A man was trapped and injured after his SUV rolled into a 20-foot ravine on Old Highway 91 Thursday. 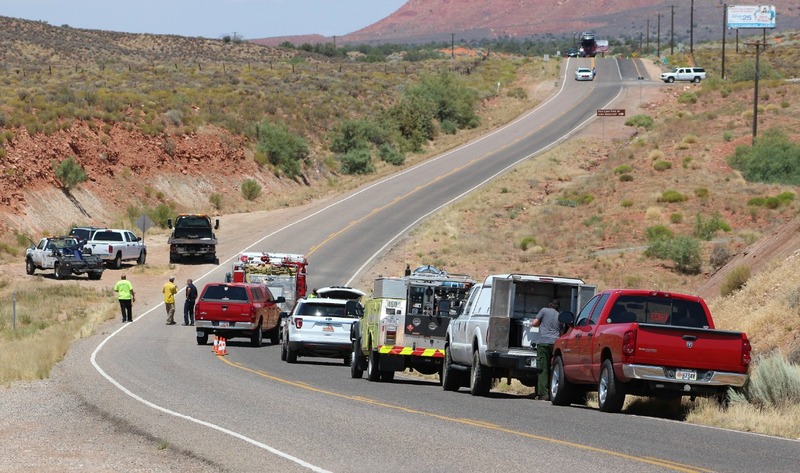 Shortly before 12:30 p.m. an officer on a traffic stop received information that a vehicle may have gone off the road on Old Highway 91 in Ivins near the Kayenta Parkway. A passerby told the officer that he saw the vehicle veer off the roadway but was unable to see if it crashed or if there were injuries, Randy Hancey, public information officer for Santa Clara Ivins Police Department said. The officer went to the location described by the witness and found a white Ford Expedition overturned at the bottom of a 20-foot ravine. The officer called for assistance as he made his way down to the vehicle where he found the driver unconscious, unresponsive and trapped inside, Hancey said. Emergency personnel were dispatched to the area while Mercy Air Medical Transport was called in due to the man’s condition and the seriousness of the crash. Numerous emergency responders arrived within minutes and firefighters began the task of extricating the driver from the SUV. After nearly 30 minutes the man was freed from the wreckage and had regained consciousness. Once the man was stabilized he was transported by ground ambulance to Dixie Regional Medical Center for evaluation and treatment of his injuries, the officer said. 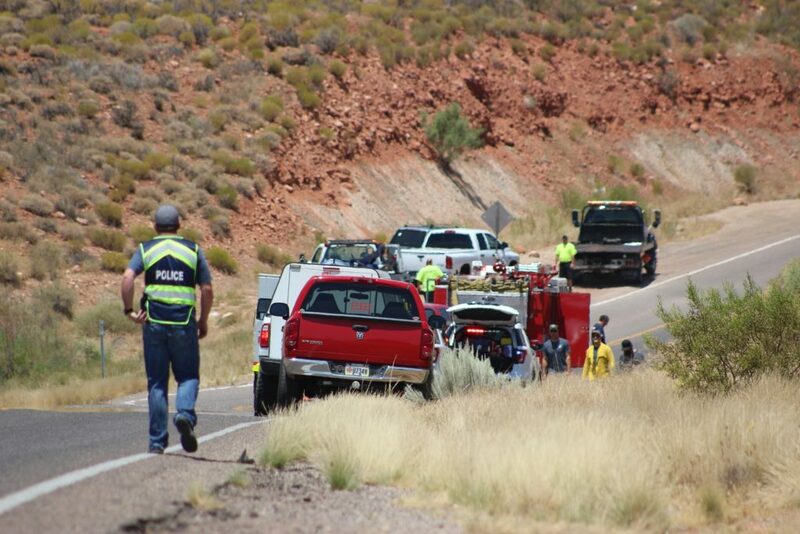 “We were able to extricate the man and then transport him to the hospital by ground, and Mercy Air was cancelled at that point,” Ivins City Fire Chief Brad Hannig said. 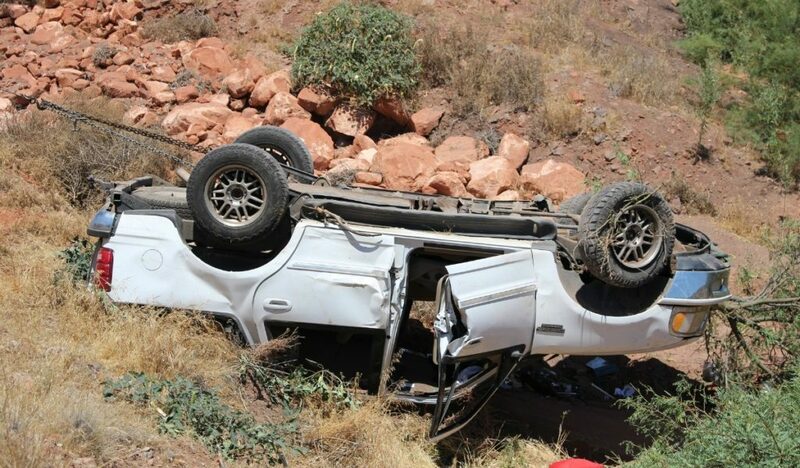 Officers determined that the driver was headed north on Old Highway 91 and veered off the roadway, traveling for approximately 100 yards, Hancey said, before the vehicle began to roll down into the ravine. The investigation into the crash is ongoing, the officer said, and no further details on the nature or extent of the driver’s injuries were available at the writing of this report. Old Highway 91 was closed to all traffic for approximately one hour as deputies from the Washington County Sheriff’s Office contained the scene while responders tended to the injured and cleared the wreckage. Ivins City Fire Department, Santa Clara Fire Department, Santa Clara/Ivins Police Department and the Washington County Sheriff’s Office responded and tended to the scene. It’s a good thing the passerby witnessed the accident and stopped. If the wreckage couldn’t be seen from the road this guy could have easily been there long enough to die, especially in this heat.